Betonline is an online bookmarking site that offers a wide variety of top online casino games, sports betting and staking on horse racing. The site has been operational since September 2004. Although it is based in Panama, it accepts users from all 50 states of USA. 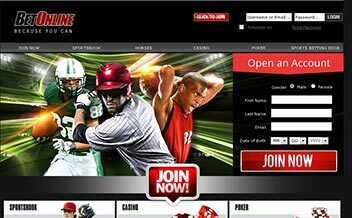 It is among the most popular betting sites in the USA. Recently, they have made efforts to get clientele from other parts of the world. The casino has some of the most popular online casino games. The popularity of Betonline is partly because they have one of the highest payout standing at 96.5%.In addition, they avail many payment options including Visa, MasterCard, American Express, Wire Transfer, Skrill, Neteller e-wallets, and Bitcoin. They guarantee new customers 50% on their first $2500 via Promo Code NEW2500. The site is very user-friendly and can be accessed from both mobile and desktop forums. Users can also access the platform through a mobile App that is fast and does not require downloading. $ 50 is given for free for the first mobile bet. Betonline allows customers from all 50 states. The site, however, offers limited wagering markets and they do not yet have a live streaming feature. In 2011, they launched online poker. The company got into trouble for lying about using their own network while they were relying on Action Poker Network. It was also discovered that their customer care representatives knew all the customers’ passwords and the customer was able to play on multiple accounts using the same internet connection. Their reputation has however improved in the recent years and it has bragging rights of being one of the best betting companies in the USA. Betonline has no progressive jackpot games at the moment. Betonline hosts nineteen games under this category of slot games like Jackpot Jamba, monkey money, reel outlaws, wizard castle and The Bees. These games are designed by the topmost game’s developers globally. Betonline has a library of seventeen classic titles and a few with a slight variation in rules. They host seven different casino games, some include; the European roulette wheel, Style poker, baccarat, six blackjacks, card-based, and the classic American roulette wheel among others. There is a variety of video poker games. They currently offer seventeen different poker titles including; All American, Bonus Poker, Deuces Wild, Double Bonus, Jackpot, Bonus Deluxe, Jacks or Better, Joker Poker, Bonus Deluxe, Five draw poker, and Bonus Poker. These games are currently not available. This welcome bonus is only available to customers who bet in sports. It is offered for deposits above $50. The casino rewards customers with a 25% bonus with a cap $1000. This bonus is only available to customers who bet in sports. It is offered for deposits above $50. The casino rewards customers with a 25% bonus with a cap $1000. 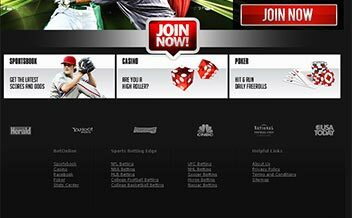 Betonline casino is always updating their games, player contests, and campaigns. Keep visiting the section to ensure that you have up to date information about the casino. Deposits can be made through Bank Transfer, Bitcoin, lite coin, VISA, MasterCard, American Express, person-to-person, money orders, Skrill, Neteller. Bank wire and cashier’s cheque. Methods of withdrawal include; Bitcoin, Lite Coin, person-to-person, wire transfer, cheque, Skrill, and Neteller. Download, Instant Play, and Mobile. The following countries are restricted: Serbia, Ukraine Ghana, Egypt, France, Indonesia, French Guiana, Macedonia, North Korea, Malta, Montenegro, Morocco, Nigeria, and Pakistan. Betonline Casino allows USD and XBT. Languages supported by the casino are English and Spanish. 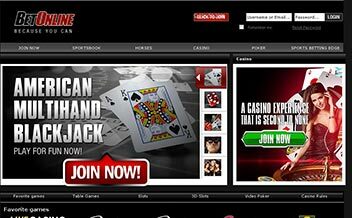 Betonline Casino is available on both pc and mobile platforms. 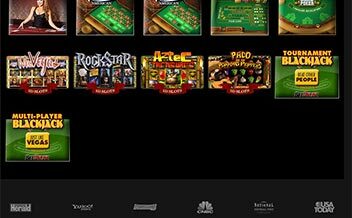 Players can also access the casino through a web browser and a mobile App. The web version has all the games that Betonline has to offer. The mobile App only provides access to sports betting. The casino can be accessed from all major web browsers, i.e. Safari, Chrome, Firefox, Opera and many others. Betonline web casino layout is easy to navigate and use. It enables quick access to a cashier for the purpose of deposit and the full selection of games and tournaments. Allows users to play their favorite games. The mobile version of the casino is available for both Android and IOS devices. Users can also access Betonline via a mobile browser. Although Betonline holds a license from Panama, the site has been in existence for more than a decade. This should wash away any doubts that it could be a rogue site. It has grown in the player base due to the security it offers to its customers. Betonline customer service is the best. It offers telephone, email and postal address. Players get a chance to communicate with the well-spoken staff who devote their time to answer clients queries. Players get access an FAQ section on the casino’s website anytime. There is up to $3500 in deposit bonuses. It has a fast and responsive website. The casino offers frequent promotions. The casino has a great mobile gaming app. USA players cannot use Skrill or Neteller. Some countries are restricted to access the casino. Betonline provides a wide array of games and their variations including slot games and table games. Its growing user base is a testimony to the quality, ease of use and security offered by the company. Although it faced a few legal challenges, it is a safe place to bet and the overall experience is satisfactory. Be part of Betonline casino today and get a chance to change your gaming experience today.